Shadow editions with blacked-out trim and refreshed interior designs are the major changes. The refreshed BMW 1 Series is upon us, or rather, it will be starting this July when it goes on sale. The latest update of Munich’s compact Bimmer reveals new color and wheel options for some exterior flare. Inside, the 1 Series gets a revamped interior with some new tech, while a range of gas and diesel engines continue to drive the rear wheels with the xDrive intelligent all-wheel drive available as an option on select models. The big news on the outside comes in the form of a shadow – specifically three new special edition models called Edition Sport Line Shadow, Edition M Sport Shadow, and M140i Edition Shadow. True to the name, each model features a blacked-out grille and black inserts on the LED headlights. Rear lights are also LED with a dark tint to accompany the rest of the shadowy features. If you opt for the M Sport Shadow, you can get black 18-inch wheels with black exhaust pipes. 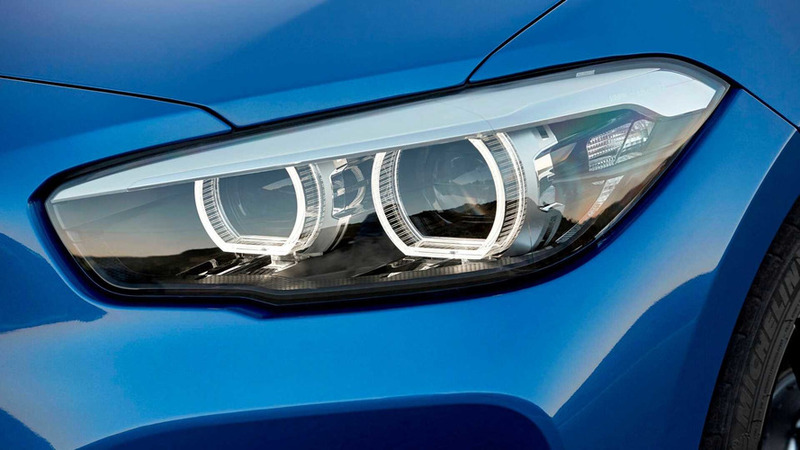 M140i Edition Shadows can be outfitted with 18-inch grey alloys, and all cars can now be ordered with five new wheel options and two new exterior colors: Seaside Blue and Sunset Orange. The truly noticeable changes occur inside. A new instrument display with a black panel design greets drivers, along with redesigned air vents, chrome buttons for the power windows, and a revamped center console. New leather options and trim options are available across the line to liven up the decor, including a choice of seven cloth variants. Driver and passengers get BMWs latest generation of the iDrive operating system as standard equipment. Cars fitted with navigation get a central 8.8-inch touchscreen display; systems can also be accessed via standard touch pad or through voice communication. 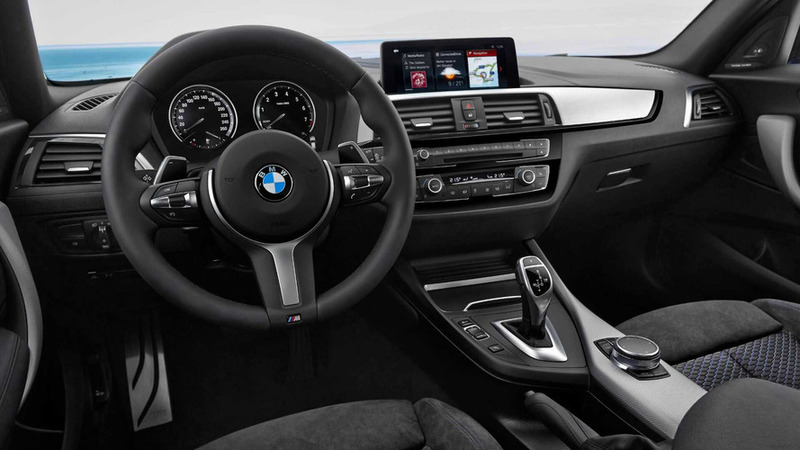 In addition, BMW ConnectedDrive Services offer real-time traffic information, parking information, and a new Microsoft Exchange function that allows Microsoft 365 users to send email and access calendars in the car via secure server. This is in addition to optional WiFi capability, Apple CarPlay, and a gauntlet of driver assists like active cruise control, auto braking, and lane departure warning. 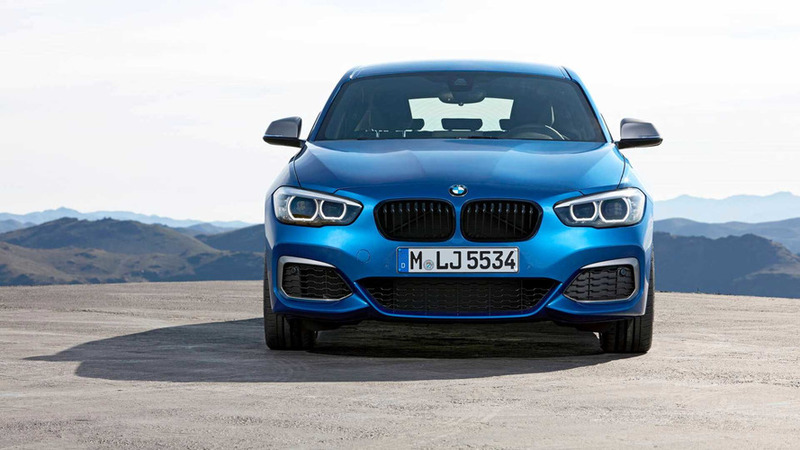 Engines range from the 109-horsepower turbocharged three-cylinder in the 116i to the M140i’s boosted inline-six making 340 horsepower. Diesel models begin with the 116d, which delivers 116 horsepower and 199 pound-feet of torque from its turbocharged three-pot. At the other end, the 125d is a bit more robust with 224 horsepower and a full 332 lb-ft of twist from its turbocharged four cylinder. 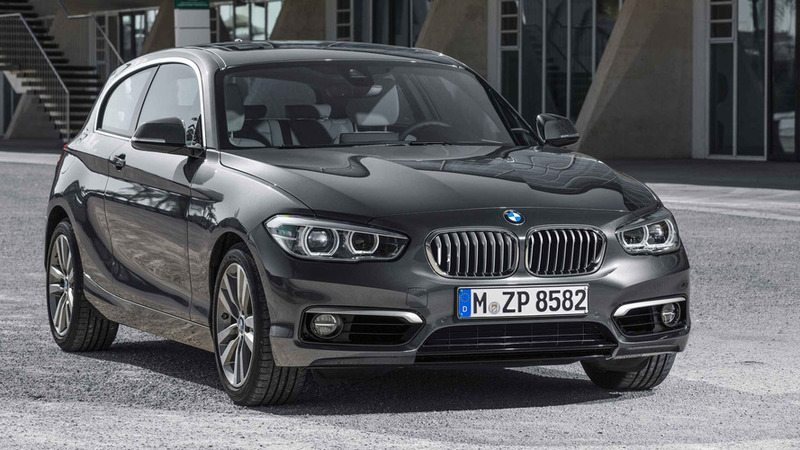 The 118d, 120d and M140i can be equipped with BMW’s xDrive all-wheel drive system, while most models get either a six-speed manual or eight-speed automatic transmission. The two exceptions are the 116 which is manual only, and the M140i xDrive which is exclusively automatic. BMW has a completely redesigned 1 Series in the works that is reported to be front-wheel drive. That version is expected to be revealed sometime next year as a 2019 model. The new BMW 1 Series. Unmistakably sporty, with a higher quality feel and greater presence. 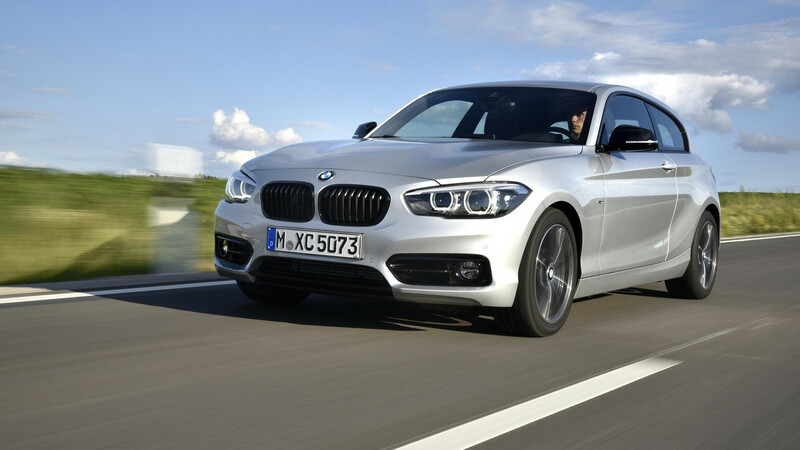 BMW 1 Series will be launched in July 2017 in 3-door and 5-door versions. 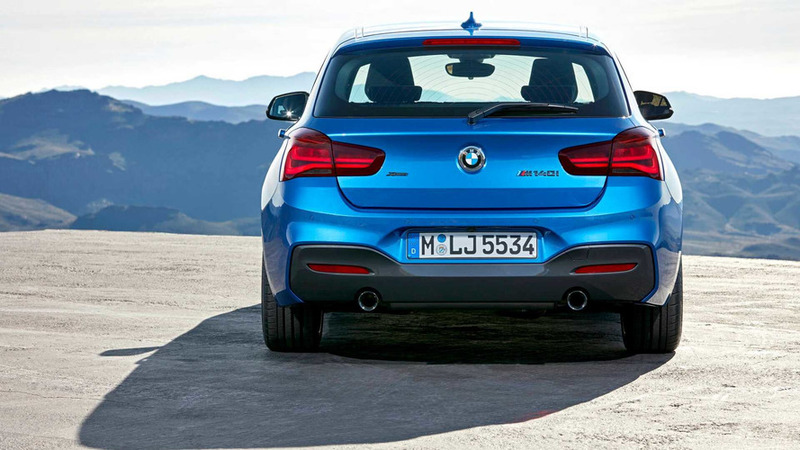 The BMW 1 Series: a tour de force in the premium compact class. Asia-Pacific region in Chennai (India) and Rayong (Thailand). New special-edition models with striking looks. Orange also contribute to the new car’s more striking looks. offered for the M140i/M140i xDrive Edition Shadow (436 M in Orbit Grey). Upgraded interior, redesigned instrument panel. for the radio and air conditioning system, features a high-gloss black surface. created by the interior of the new BMW 1 Series. some including leather or Alcantara. 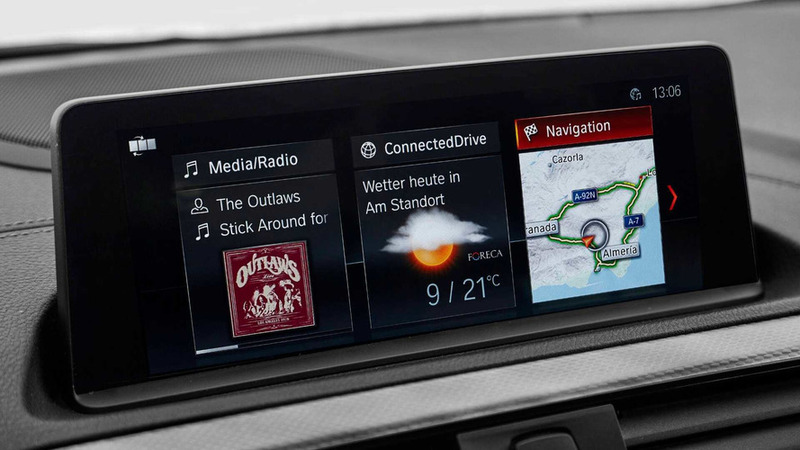 Using iDrive, the touchscreen or voice control to operate various functions. high-resolution central 8.8-inch display now comes in touchscreen form. Intelligent voice control is the third way of operating these functions. Perfectly connected from the word go. indicate the probability of finding an available roadside parking space. 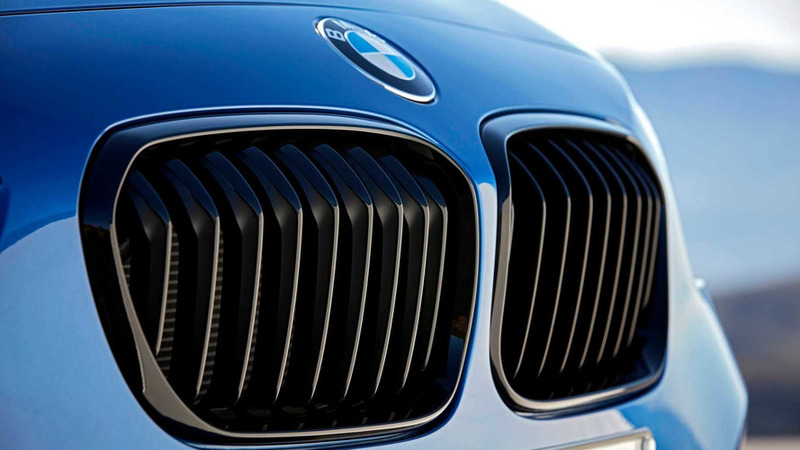 information seamlessly and make it available to the BMW navigation system. control from the comfort of their home. Driver assistance systems: extra help for the driver. help to search for suitable spaces while travelling at up to 35 km/h (22 mph). Highly efficient three-, four- and six-cylinder power units. be ordered with the eight-speed Steptronic Sport transmission. emissions combined: 179 – 163 g/km)*. Intelligent all-wheel drive for optimum power transmission. 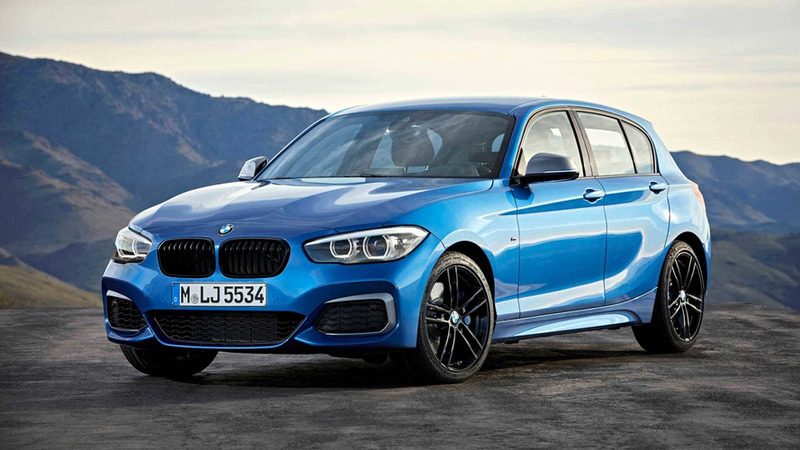 Two new elite athletes from BMW M GmbH: the M140i andM140i xDrive. * Fuel consumption figures based on the EU test cycle, may vary depending on the tyre format specified. 4.8 seconds, while top speed is electronically limited to 250 km/h (155 mph). 7.4 l/100 km (38.2 mpg imp) and CO2 emissions of 169 g/km*. sensation of excellent directional and straight-line stability in motorway driving. Comfort, Sport and ECO PRO, but also adds the ultra-dynamic Sport+ mode. allows the driver to perform controlled drifts.